Cup includes a built in specimen validity test that verifies the specimen sample was not altered or diluted. 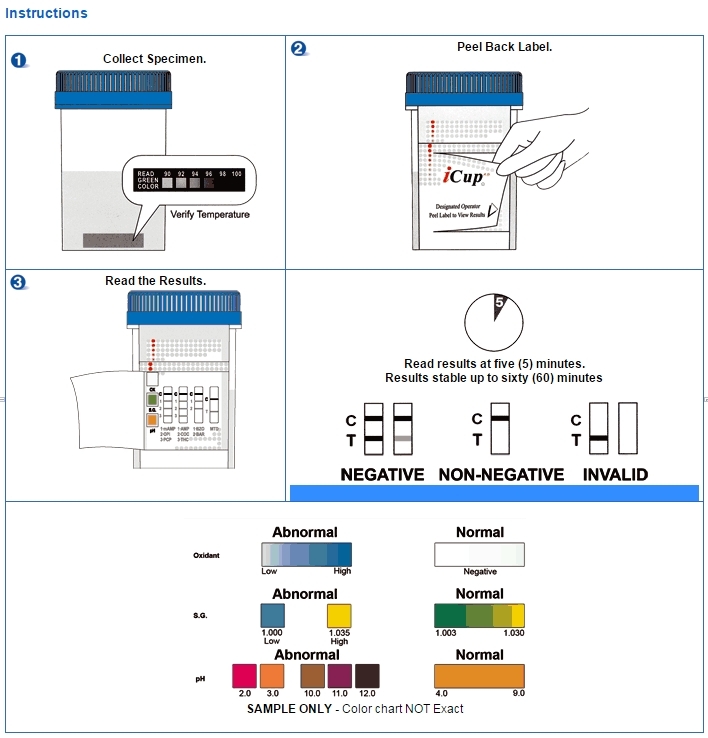 The The 5 Panel iCup Drug test is an easy to use drug test with all the security features you might need - a temperature strip that will tell you if the urine is fresh, and an adulteration strip that will tell you if the urine is diluted. Thanks to the built in cup with lid, you will have zero exposure to the urine when you conduct the actual test, and results can be easily photocopied. Adulteration Strip - The adulteration strip is one of the best selling points of this iCup. To avoid testing positive, donors may try to alter their urine, by substituting someone else’s or by using products, available online or from head shops, that alter the chemical composition of the urine. An adulteration strip like the one on this test can help you catch someone who is trying to do this. 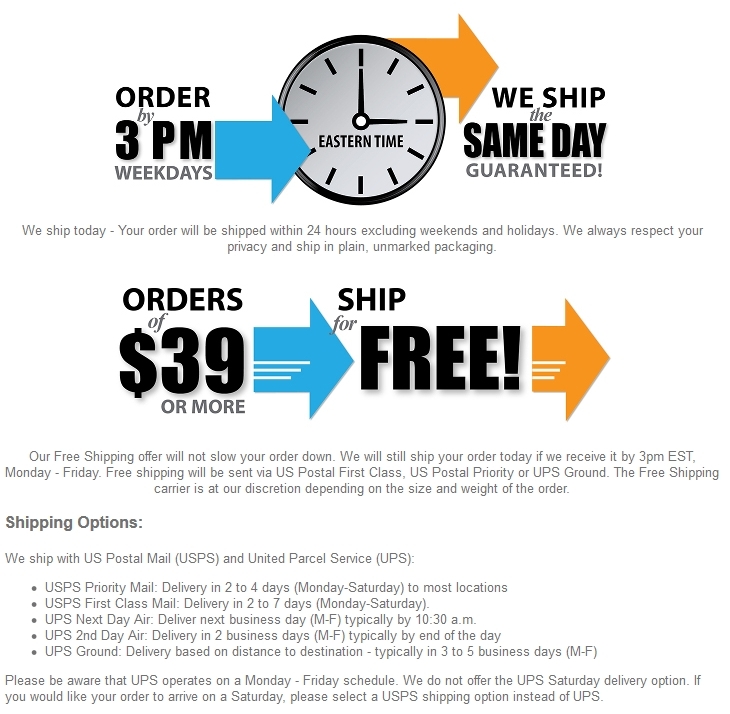 You can determine the temperature (if the urine is not at the right temperature, something may be wrong with the sample), the specific gravity, the pH, and the level of oxidants in the urine. Specific gravity will help you to see if someone has diluted their urine, while detecting oxidants in urine indicates that someone may’ve used a product like UrineLuck. Cup Included - Obviously the iCup includes a cup! This makes for easy handling. The donor when they are finished giving the sample snaps the lid of the iCup back on. While you can use any clean, dry container to take a urine sample for our tests, some people are hesitant to reuse containers (although you can). With the iCup you can use the container, check the results, and then throw it away. Easy to Photocopy - Some organizations may want to photocopy results for their records, to indicate progress in recovery or a clean record. The design of the iCup allows you to easily photocopy results when you are done with the test. 1. Donor provides urine specimen in cup and puts lid back on the cup so the person conducting the test is not exposed to the urine. 2. Within 2-4 minutes read temperature to verify that it is between 90-100 degrees Fahrenheit. 3. Donor dates and initials the security seal and places it over the cap of the test. 4. The person conducting the test peels off the label to reveal the drug strips and the adulteration strip. You can peel them off in any order. 5. Read adulteration test results between 2-5 minutes, interpreting the results by using your included color chart. 6. Read the drug test results at 5 minutes. If the test is negative, a line will appear in the C section (meaning Control) and the drug section. Even a very faint line means the test is negative. If no line appears for a particular drug, that means the test is a preliminary positive for that particular drug. 7. If desired, photocopy the results. The results will be stable for up to 60 minutes.